Recent events have suggested that the decades-old U.S. policy of accommodation toward China is giving way to greater pushback against Beijing's advances. The United States seems to have lost hope of ever persuading China to refrain from challenging its leadership in global governance institutions. Retaining the U.S.-led liberal world order is thus motivating America's pushback – a move that will be more successful if done in concert with partners. Two decades ago, the U.S. welcomed China's decision to open its markets and join the World Trade Organization (WTO), harboring the hope that market reform would eventually spill over to the country's politics and governance. Such hopes were in vain. Even market reform has only been partial as the economy remains dominated by the state. Furthermore, industrial planning, foreign investment restrictions and questionable trade practices are still at work. The development of China's comprehensive national power and its increasingly visible global ambitions are raising concerns about Beijing's ultimate endgame and how it will impact America's longstanding post-Cold War supremacy. The initiation of the trade war signals a new chapter in U.S.-China relations. The new turn is a response to the ballooning trade deficit and unfair trade practices, but it could also be the spark of a long haul measure to match, if not counter, China's global aspirations. However, disproportionate pushback may inject instability into the world's most important bilateral relationship. Demonstrating competent leadership by leaving room for a negotiated solution is crucial. While President Donald Trump's initiation of a trade war was primarily intended to address the looming trade deficit with China, the tariffs were also meant as punishment for forced technology transfers, industrial espionage and other intellectual property rights violations. Such unfair trade practices have contributed to losses for U.S. companies and undermined their long-term survival and competitiveness. But beyond threatening America's global economic position, China's increasingly bold global vision, influence and wherewithal undercuts U.S. ascendency. Many scholars in U.S. academic, defense, and policy circles are unsettled by the increased assertiveness shown in China's Belt and Road Initiative, its role among the BRICS nations, institutions like the New Development Bank and the Asian Infrastructure Investment Bank, and the internationalization of the petroyuan and the renminbi. Unlike Japan, China apparently does not want to be considered a mere “junior partner” to America. 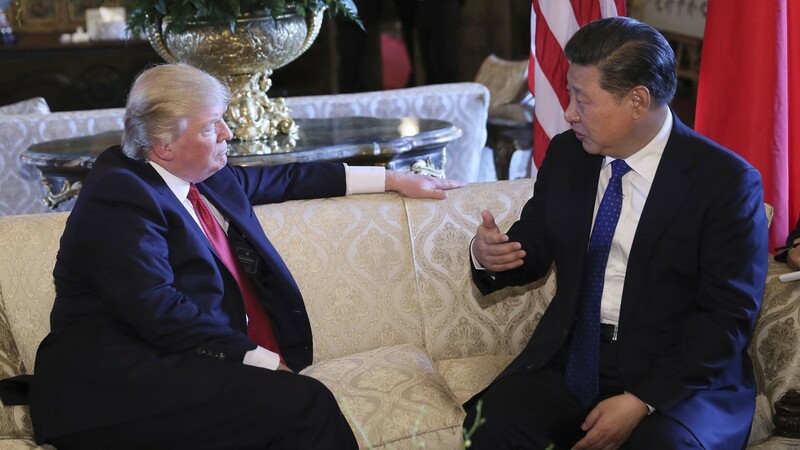 In fact, Beijing's counter-offer – a new type of major power relations – amounts to a recognition of the two countries' near parity, if not parity itself, a proposal that was not warmly embraced by Washington. China wants to bear increasing responsibilities for the provision of public goods (e.g. peacekeeping in Africa, anti-piracy missions in the Indian Ocean, and Belt and Road infrastructure investments), but this apparently goes with the implication of acknowledging China's evolving core interests and for U.S. to recognize it as a peer. This makes it problematic. Thus, the United States sees China as unwilling to accept the prevailing world order with itself at the top, while China believes the U.S. is blocking its ascent, and desires to reform the system to reflect the changing times. The strongly worded 2017 U.S. National Security Strategy (NSS) and 2018 National Defense Strategy (NDS) and new cabinet designations may have suggested that a more confrontational stance can be expected from the Trump administration. Both the NSS and NDS identify great power competition as America's primary security concern. The two documents also recognize the increasingly broad domains of competition (air, land, sea, space and cyberspace), the erosion of longstanding U.S. military advantages, and the use of economic and political tools by revisionist powers like China and Russia to advance their interests, while undercutting U.S. leadership. The designation of John Bolton and Mike Pompeo to handle the national security and foreign affairs portfolios respectively complemented an already hawkish economic policy. Nonetheless, while President Trump is known for his disruptive tendencies, the Singapore and Helsinki summits suggest his openness to dialogue even with his country's bitter rivals, and even at the expense of being criticized at home and abroad. Hence, while negotiations failed to avert the trade war, Trump's transactional attitude may ensure that the door remains open to a mutually agreeable deal. The strain of unipolar world leadership has begun to take a toll on the United States. The election of President Trump signaled a public desire to cut down on international commitments, unless they are renegotiated to better serve American interests. Trump's America First policy is not necessarily the culprit behind the present turbulence in the international order. Rather, it is the manner by which the policy is implemented that has generated tremendous uncertainty. The concept that everything is dispensable and subject to renegotiation is disorienting to many countries who are accustomed to a stable American-led global order. U.S. interests can be served by global leadership, but there are also attendant costs to bear, such as providing market access, security assistance and aid to less developed countries. It also means pursuing consensus on complicated trade and security talks and promoting a rules-based order — all of which is made more challenging by deep budget cuts to the State Department and USAID. Guarding U.S. primacy is no longer a choice that the U.S. can unilaterally make. Its continued preeminence now depends on the consent of other states, and its own willingness to absorb the costs of leadership is central to that consent. The fact that the Paris Climate accord was pushed through and eleven countries decided to go ahead with the (comprehensive and progressive) Trans-Pacific Partnership, despite the U.S.' absence, suggests that the world can and will adjust to America's withdrawal, though not without difficulty. If the U.S. wants to effectively push back against China's unfair trade practices and its increasing military footprint in critical global sea lanes like the South China Sea, then it needs to work with its allies and partners. But this will be hard to achieve while tariffs are indiscriminately applied to the U.S.' closest partners, relations with the United Nations are unraveling, and trust in the United States' commitment to its alliances is wavering. Meanwhile, China is willing and able to perform a greater global role, with or without the United States. Trump's apparent aversion to the costs of global leadership and his calls for greater burden-sharing create opportunities for China. President Xi Jinping's speech at the World Economic Forum at Davos (2017) and Boao Forum for Asia at Hainan (2018) capped the seeming role reversal, as the U.S. retreated to protectionism while China became the unlikely champion of globalization. China's soft power is still nascent, but its hard power, especially in the form of economic largesse, is already making tremendous headway. Even American smart power may find this headway difficult to roll back. In sum, there is a sense for the United States to shift gears away from accommodating China's rise and towards calling China out for testing the very fabric of the U.S. led liberal international order. Although China's economic trajectory may catapult it to overtake the U.S. in the future, America's postwar leadership had been instrumental in shaping global trade and security regimes which, albeit imperfect, brought benefits to many nations. In contrast, despite China's increasing global clout, uncertainties about how it will demonstrate leadership continue to plague its ambitions. But for any pushback to be effective, the U.S. must work with others. That said, China's appeal for reforms in the international system merits consideration, given how the system has evolved since the end of the Cold War. America's retention of its leadership position will no longer be a function of its exceptionalism, but rather a result of global consensus — with China included.